it’s in the museum at Gaziantep and is the scene of Zeus falling in love with Europa, appearing to her in form of a white bull. 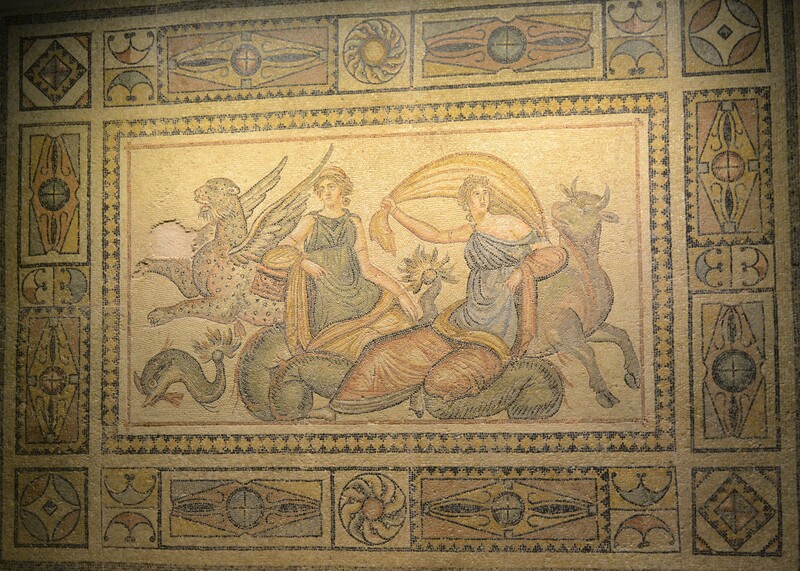 There are plenty of mosaics left in situ at the actual site as well as in the museum. Looking forward to sharing many interesting CRF times with you… if you click on follow you’ll get automatic notification of updates via email – and also it will help us to show our funding body that there’s a community out there who’re interested in what’s happening in the world of Castleshaw Roman Forts. I’ll try always to keep you up to date with events and particularly any test-pitting or digs as they happen. And it would be great to get your comments!